We have three raw materail for this item:Boric,Quartz,Na-Ca Glass. 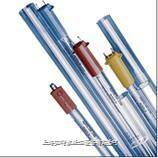 The Na-Ca Glass materail (Soft glass) are same as Pilips raw materail. Quality higher than Boric and all most same as Quartz.But prices are cheaper than Quartz much. There are only 2 factories in China produce with this materail. Germicidal lamps effciently emit a large amount of ultraviolet rays 253.7nm(nanometers) which have execllent germicidal effect. These lamps have structures and electrical characteristics similar to those of ganneral fluorescent lamps used for illumination but use ultraviolet ray glass which efficiently transmits ultraviolet rays at 253.7nm. A large selection is available with different sizes.shapes and ultraviolet ray output so that the most appropriate one can be selected according to the purpose. 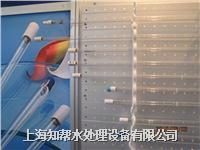 The lamps are primariy userful for sterilizaton of air, the surfaces of various materials and water or liquid. These bulbs are for air purifier and pond filter. Applications: Operation rooms,sickness rooms.Medical disinfection and air clean machines.,deodorization and bactericide.